Having produced the number one selling driver in the UK in 2013, Callaway had their work cut out to design a model better than the Callaway X Hot drivers. They believe they have answered that call with their X2 Hot and X2 Hot Pro drivers. The Pro version of the X2 Hot driver is 20cc smaller than the 460cc X2 Hot standard model and designed to fly flatter, spin less and offer a more neutral ball flight that is preferred by the game's "more advanced players". Whilst it has the same orange, white and grey colours as the standard model, the X2 Hot Pro does have a number of technical and aesthetic differences. The most obvious difference is the weight screw in the back of the sole. The 7-gram weight moves the centre of gravity 40% lower than the standard model. Whilst consumers will not be able to adjust the weight, Callaway fitters will, helping them find the correct swing weight and configuration for golfers getting custom fitted. The key to all Callaway X Hot clubs has been the face. The X2 Hot Pro features the same Hyper Speed Face as the standard model, thinner and faster than the original X Hot model. Beyond producing faster ball speeds, Callaway are able to save weight by making the face thinner and use that weight to improve the overall forgiveness of the X2 Hot drivers. The X2 Hot Pro has a clean look address and doesn't feature any of the crown graphics of the X2 Hot model. However, it does have all the same adjustability thanks to Callaway's Advanced OptiFit hosel. 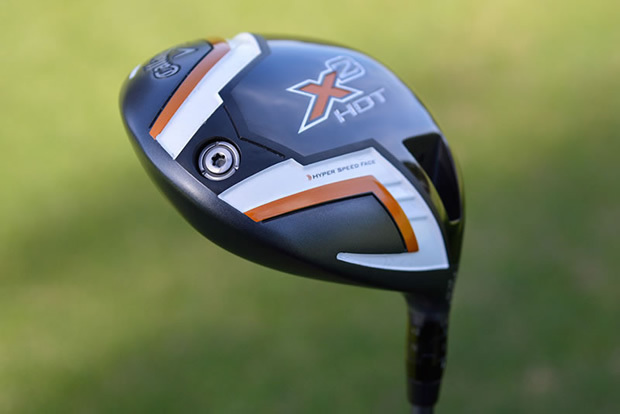 Using the same hosel as seen on the Callaway FT Optiforce driver, the X2 Hot Pro can be adjusted to decrease the loft by 1 degree or increase it by up to 2 degrees. Where the standard X2 Hot is available in three starting lofts, the X2 Hot Pro is only available in 8.5 degrees, meaning better players will have a range of 7.5 to 10.5 degrees. The OptiFit hosel uses two rings to adjust both loft and lie, without altering the face angle too much. Players can choose from either a draw or neutral setting in each loft, however the X2 Hot Pro driver is naturally set to an open face angle that Callaway say better players prefer. Interestly, whilst it is aimed at better players the X2 Hot Pro is available at the same price as the standard model.